2012 was a good year for this site. 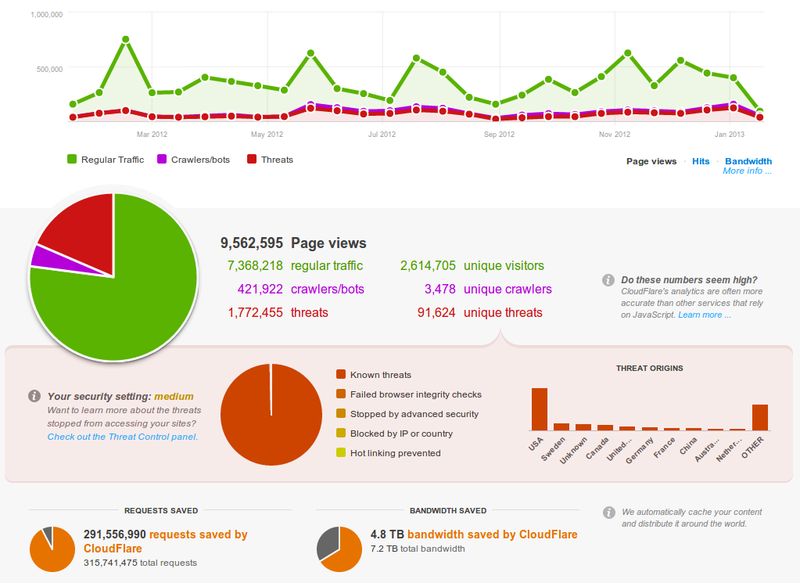 We count about nine million visits in total from about 2.7 million unique visitors. That’s the population of one Nevada or Utah, two Estonias, or eight and a half Icelands having taken part of the ideas here at least once in the last year. Excellent! Spreading an understanding of information policy is paramount, and we’re working hard on it. Writing well enough to reach almost three million people in the last year is one of the best conceivable rewards. And still, we keep growing and learning how to write better, to be continuously read by yet more people. As of the New Year, Falkvinge & Co. on Infopolicy has a full 70 contributors – mostly the occasional guest author and a skilled crew of volunteer translators to ten other languages. 315 million HTTP requests were served with just over seven terabytes of data over the year. Traffic data for 2012. Don’t worry so much about “threats”, I’ve learned that’s usually just regular visitors coming in over TOR and other anonymizers. For this site, anyway. Happy new year, and may the world see better information policy in 2013! How do you count rss-readers? Considering your tech savvy audience and the fact that blog power-readers tend to use rss, this may make up a substantial part of your readership. I use Feedburner to measure RSS, and it tells me there are about 3,500 regular readers that go by direct RSS to this site (i.e., not through another layer of aggregation). So it’s actually not as much as one would think. Most visitors here come for articles posted to social news sites.